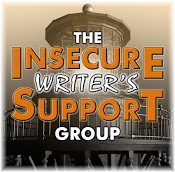 It’s the first Wednesday of the month and time to share our hopes, dreams and fears with the Insecure Writers Support Group, the brainchild of Ninja Captain Alex J. Cavanaugh, and this month’s hosts are; Mary Aalgaard, Bish Denham, Jennifer Hawes, Diane Burton, and Gwen Gardner. (Please stop by to say hello to them). But then I had an epiphany moment. Let me show you. Garp’s mother, Jenny Fields, was arrested in Boston, in 1942 for wounding a man in a theatre. I might not know the lines by memory, I might not even have read the book, but that first sentence gives some kind of clue about the rest of the book. Lots of them have a main character’s name. That’s a big clue. Others might give you a place or an event that sets the time for you. Or you may not recognise the name, but turning into an enormous insect might be a bit of a clue. Not all novels give pointers in this way, and that doesn’t make them worse because they’re likely setting the scene in some other way, by grabbing the attention or posing questions. It’s given me a new insight and something to think about when putting together the first line for my next story or novel. There are two I don’t know. I think I’ll go find a cave and live out my life in shame. I know three of them. One because I’ve read it – The Voyage of the Dawn Treader. Oh! I’m surprised that I know six of them! Little Women, Peter Pan, 1984, The World According to Garp, The Hungry Caterpillar, and Metamorphosis. The only one I haven’t read is The World According to Garp. Here’s a favorite: When Mr. Bilbo Baggins of Bag End announced that he would shortly be celebrating his eleventy-first birthday with a party of special magnificence, there was much talk and excitement in Hobbiton. I actually knew a few of these. I love The World According to Garp. Everything starts somewhere, though many physicists disagree. I know (because I’ve read) 1, 2, 3, 4,5 & 8.